Something to eat & something to drink?? 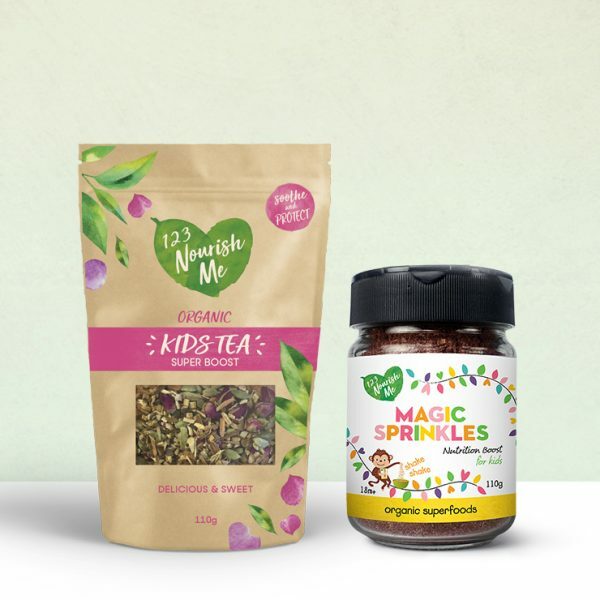 This combo of Magic Sprinkles and Kids Tea is an immune boosting double whammy! 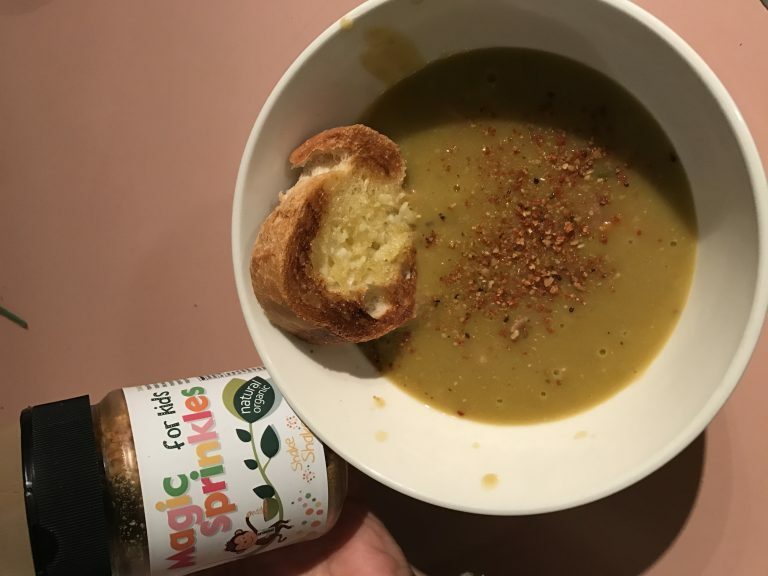 Our Magic Sprinkles is a powerhouse shaker filled with real organic living foods giving lots of essential fatty acids, vitamin C and minerals like magnesium and zinc! An amazing super boosting bundle! A nutritional powerhouse shaker of superfoods brimming with vitamins, minerals &healthy fats. 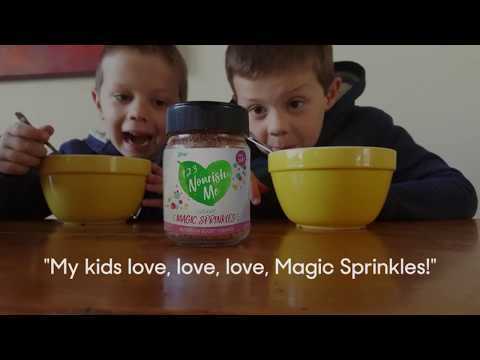 Magic sprinkles are designed for kids to empower kids to use themselves and can be added to any food any time. Sprinkle on breakfast, savoury or sweet cooking or as a brilliant addition to smoothies, muffins, ice-cream or yoghurt. Made with the highest quality organic herbal blend available, our delicious kid’s tea is super sweet and super yummy! Kids love the taste! Our unique blend of organic liquorice, ginger, cardamom and cinnamon are designed to taste sweet & yummy while building, warming and nourishing little people in the colder months. With a herbal blend of organic herbs used in traditional medicine for thousands of years our kids tea contains a mix of herbs to nourish and soothe and builds happy kids one cup at a time! I’m amazed! My normally fussy 5 year old can not get enough of these 2 products. So happy that I have found the magic sprinkles and tea and love that I can share it with them too! I knew it would be lovely but i wasnt sure my kids would but 5 year old asks for her tea to be ready for when she gets home and we love sitting on the couch having a cuppa together!!! I am so pleasantly surprised by this combo, my 2 little ones are quite fussy with food, I love that I can add this to their meals without them noticing 😉 big winner in my books! The tea was a nice surprise too, mr 7 really likes it! Win win for my babies. Wanting to be in on the adults with their daily coffee I have been searching for the perfect drink for my daughter, welcome kids tea. The perfect blend of herbs my daughter loves having a big girl drink with the rest of the family. The magic sprinkles have been making their way into everyone’s dinner. It’s the perfect blend to sneak in giving everyone in the superfood boost they need. The tea is proving to be a slow process, as my daughter finds it very sweet. My almost 4-year-old loves the magic sprinkles add the tea. Nice to have something that’s nutrient rich without added sugars and fillers. The kid’s tea absolutely smells divine and taste sooo good!! My 3yr loves his cup of warm turmeric coconut milk of a morning & now he is mixing it up with the tea in his own little paw patrol tea cup! So nice to sit down with my boy and enjoy sipping on your tea together. He simply loves the magic sprinkles he asks for them at every meal, everyday & enjoys sprinkling them on himself…what a winner, something that is so good for you and taste amazing!! so glad I finally ordered these amazing products. 2 of our favourite products! What’s there not to love, all the nutrition and immune boosting in just 2 products. We will be buying more without a doubt. Thanks for the awesome products! Love both these products! The kids love the sprinkles and the fun of putting them on anything they think of and while they don’t mind the tea I absolutely adore it and have drunk more of it than them!! My daughter is asking for her sprinkle every morning with breakfast and my son is still unsure about them but little does he know I have already added them to his breakfast anyway! The tea is still something we are working on, they have their little sips each day but I am happy to finish it off for them, they drink more when it’s cold. The kid’s tea smells and tastes amazing – my daughter hasn’t quite taken to it as a drink but have I have made little jelly lollies out of it and they go down a treat! I think it should be re-named adults tea as me and some friends that have had it absolutely love it! And heading into winter, it’s the perfect immune booster! Keep the great products coming! The tea is absolutely delicious, although I haven’t been able to get my son to drink it. I comb Funky Monkey through my son’s long-ish hair after every bath to help tame it, it smells great- my husband also uses it. It is quite thick though and I haven’t yet mastered it! I love using the Sleepy Balm on my 1yo if she’s having trouble settling to sleep. I massage it slowly into her wrists, the smell is divine and she seems to find this ritual soothing. We carry Handshine everywhere we go, it is an absolute lifesaver when it comes to my son using public toilets as his little hands appear to touch everything in sight. We have bought the chest rub and ouchy cream but haven’t needed them yet- although like everything else, they smell amazing. I love using 123nourishme products, it feels great providing good quality products for my family. My kids (and me!) love the tea so much! They love the taste. And I love knowing that it contains all organic, nutritional, ingredients. The magic sprinkles are a huge hit with the kids. And gives me peace of mind knowing they are getting the extra goodness into their daily diets. My children love the sprinkles! If my daughter is using them they’re Magic Fairy Sprinkles. If my son has them they’re Magic Dinosaur Sprinkles. In fact… I actually sneak some on my dinner too! The tea tastes amazing also. We have a little tea party every afternoon. My kids love it. And if the tea happens to go cool… then it’s magic juice! The Magic Sprinkles were a hit in our household! My girls wanted to put them on EVERYTHING! I really enjoy the flavour too. Best of all, you can reuse the glass afterwards! The Tea is a huge hit as well – my girls haven’t had tea before but loved the idea of sitting with me whilst I had a cuppa and they have “theirs”. Sprinkles were well received my the family too!